One way of demonstrating that Hadi's presidential term has long expired - he was elected in an uncontested election as Interim President for a 2 year term in February 2012, extended for one year by the NDC in February 2014. So restoring the 'legitimate' presidency would be a joke if it had not had such serious repercussions. Hadi reinstated HIMSELF as President after his term had expired, and then as the Yemen army did not support him (and neither did most of the Yemeni people) he called upon Saudi Arabia to bomb his own people. There was a UN deal on the table agreed by all parties for a five man ruling team headed by Hadi until elections could be held. The trouble is Hadi - who was deputy to Saleh for 16 years - liked being president and knew he would not be re-elected in a contested election as he was deeply unpopular. And this is the man the world is trying to impose on Yemen. Comment: Tight and concise. That is just how it is and should not be forgotten in the daily Yemeni mess. Don’t miss to see the image. Unless, of course, you consider an expanding series of failed states, spreading terror movements, wrecked cities, countries hemorrhaging refugees, and the like as accomplishments. 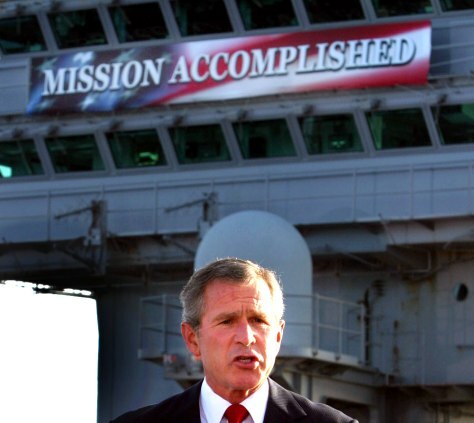 In these years, no goal of Washington -- not a single one -- has been accomplished by war. This has proven true even when, in the first flush of death and destruction, victory or at least success was hailed, as in Afghanistan in 2001 ("You helpedAfghanistan liberate itself -- for a second time," Secretary of Defense Donald Rumsfeld to U.S. special operations forces), Iraq in 2003 ("Mission accomplished"), or Libya in 2011 ("We came, we saw, he died," Hillary Clinton on the death of autocrat Muammar Gaddafi). Of all forms of American military might in this period, none may have been more destructive or less effective than air power. U.S. drones, for instance, have killed incessantly in these years, racking up thousands of dead Pakistanis, Afghans, Iraqis, Yemenis, Syrians, and others, including top terror leaders and their lieutenants as well as significant numbers of civilians and even children, and yet the movements they were sent to destroy from the top down have only proliferated. In a region in which those on the ground are quite literallyhelpless against air power, the U.S. Air Force has been repeatedly loosed, from Afghanistan in 2001 to Syria and Iraq today, without challenge and with utter freedom of the skies. Yet, other than dead civilians and militants and a great deal of rubble, the long-term results have been remarkably pitiful. Given that, sooner or later, the results of any experiment should be taken into account and actions recalibrated accordingly, here’s what’s curious. Just listen to the fervent pledges of the presidential candidates in the Republican debates to “rebuild” the U.S. military and you’ll sense the immense pressure in Washington not to recalibrate anything. When the Soviet Union imploded and Washington dissolved in a riot of shock and triumphalism, only one imperial force -- “the sole superpower” -- remained. And yet, despite a brief flurry of talk about Americans harvesting a “peace dividend” in a world bereft of major enemies, what continued to be harvested were new weapons systems. An arms race of one rolled right along. And of course, it goes right on today in an almost unimaginably different world. Comment: Sounds like a conspiracy theory, but evidently based on facts. Off course it could be ask whether those in power and acting now are carrying these screenplays with them when making their decisions and starting regime changes and wars. Anyway, what the Middle East now looks like thanks to their incursion, would fit quite well to such screenplays. But, as the above article by Tom Engelhardt points out, wars always cause destruction, chaos, hatred, fragmentation and extremism. You would not need any screenplays for it, just war. And Yemen is just a pawn in the western chess game, and an individual killed (like her) by a Saudi air raid is not more than an ant which is crushed under the boots of the “West” and its “we-rule-the-world”-strategy. Don’t miss to see the map. Thinking about it again, I must ask me: this “West”, what a phantom this should be? Me, living in Germany? I certainly don’t think so? You, the average reader of this? I don’t think so? The average newspaper and magazines seller in his little shop around the corner, surrounded by heaps of propaganda and shallow entertainment? I don’t think so. No, that are just those like the actors mentioned above, the Perles, the Kerrys, the Wolfowitz’ and these figures. They are those for whom a killed child is not more than a crushed ant. The changes wrought by neoliberal capitalism weakened the strength of labor and raised significantly the degree of economic insecurity faced by those not already financially secure. This, in turn, greatly strengthened the power of those who controlled the economy's commanding heights, which today are dominated by financial capital. The inevitable result has been an unprecedented flow of money to those at the very top of the distributions of income and wealth. We are witnessing a new Gilded Age, with unimaginably wealthy people able to buy whatever they want and do whatever they please, the rest of us be damned. Given that wealth is power and given that the newly minted billionaires desire nothing more than to increase both their wealth and power, and given these two facts, the super-rich will try by whatever means possible to destroy any impediments to their desires. We see all around us the fruits of their efforts. Nearly all of life, every aspect of it from birth to death, has been commodified, and every public service either eliminated or made subservient to the profit motive. The pernicious effects of neoliberal policies . . . amount to an act of domestic terrorism in light of the suffering such policies and practices impose on children in the United States. Rampant poverty, senseless levels of inequality, lack of adequate health services, racially and economically segregated schools, the rise of the prison state, a crippling minimum wage, police violence directed against poor minority youth, the return of debtors' prisons, a generation of young people burdened by excessive debt, and the attack on public and higher education only scratch the surface of the effects of what might be called a culture of war aimed at children. However, more needs to be said. The fact that the policies are terroristic requires also that their implementation has a veiled threat of violence to those who might oppose them. As Giroux makes transparent in this chapter and throughout the book, it has become crystal clear that neoliberalism necessitates a cruel state, one that must punish or threaten to do so to anyone who interferes with the smooth flow of commerce. And cruelty was given new life by the events of September 11, 2001, which the Bush administration used to speed up the transition from a weak democracy to a full-fledged police state. Still, punishment is normally not enough to quell dissent, at least over the long haul. What was needed was a second arrow in neoliberalism's quiver, namely an ideological blitzkrieg. As income and wealth began to flow relentlessly to the top, those with the most money exercised their phenomenal economic and political might to gain commanding control over the media, the schools, and governments at all levels, and using this to inundate us with a plethora of "commonsense" propositions. Giroux expounds on these propositions in nearly every chapter in the book: We were, and are, bombarded daily with neoliberal "wisdom" on Fox News and CNN, in the Wall Street Journal and most large-circulation newspapers, from both Republican and Democratic politicians, from various think tanks, in films and reality television shows, and now even in our schools. The message is that only private enterprise can solve our problem; public enterprises, such as Social Security and Medicare, are inherently inefficient and corrupt; success is marked solely by our income and wealth; happiness is a function of consuming; we reap what we sow and have only ourselves to blame for our failures; those who fail and are thus poor are therefore inferior people, and since blacks and Hispanics are overrepresented among the poor, they must be especially inferior; poverty has much less to do with crime than individual character, which explains why minorities occupy most of our prison cells. On top of this mass ideological brainwashing has been added a layer of noxious nationalism, this especially promoted since September 11. America is the envy of the world, the greatest nation on earth, ever. Many people in the world are jealous of our freedoms, enough so to terrorize us. The world has become so dangerous that the government must engage in any methods, no matter how repugnant to the country's core values (this is said with a straight face), to ensure our safety and the defeat of our enemies. Of course, rabid nationalism is nothing new to the United States, having been used to justify gross violations of human rights abroad and at home. It is, itself, a form of ideological brainwashing. And it has always played well, breaking down only with the Vietnam War and then after many years of wanton slaughter. However, the war on terror declared by Bush and his band of madmen has given the most virulent kind of jingoism a renewed vigor. Our enemies are everywhere, waiting to kill us. They are even among us, our fellow citizens. Anyone might be a terrorist, and any activity might be aiding the terrorists' cause. Taking advantage of the legitimate horror felt by Americans at the callous acts of murder perpetrated by the plane hijackers on September 11, the federal government enacted a series of draconian laws, invaded Afghanistan and Iraq, made up Orwellian interpretations of laws, and killed many times more people than died in the Twin Towers. President Obama has continued these policies, and has added the new touch of an official kill list, even claiming the right to kill US citizens. The United States is now engaged in an endless war. If we can say anything about military conflict, it is that war breeds authoritarianism. Wars are inimical in all respects to democracy, and a country perpetually involved in them must perpetually subvert human rights both in foreign lands and at home. To keep the public on board, propaganda has to be incessantly intensified, with new enemy horrors, home-grown terrorist sympathizers, red alerts, rumors presented as truth, punishment of "subversives," secret courts, psyops and covert operations. Efforts must be made at all times to get media support, whether by "embedding" journalists with the troops in the field, giving "scoops" to favored press lackeys, trumpeting pro-war movies, or by prosecuting journalists who get too close to the truth (see chapter 10, "Hollywood Heroism in the Age of Empire"). As veterans return from combat suffering from PTSD, mayhem on the home-front rises as they begin killing their spouses, other soldiers, and themselves. Police departments recruit mentally unstable former soldiers, who then treat those they confront on the streets as enemy combatants, with predictable results. To Giroux's horror, most of education's potential to fulfill its democratic promise has been debased or destroyed. The transfer of arms and ammunition to Saudi Arabia in particular is fuelling the conflict. Saudi Arabia was among the biggest markets for arms exporters during the past decade, and in 2014 became the largest importer of defence equipment worldwide. Many exporters to Saudi Arabia are States Parties or Signatories to the Arms Trade Treaty (ATT). This case study investigates the extent of arms transfers to Saudi Arabia by ATT States Parties and Signatories between the Treaty’s entry into force (in December 2014) and 1 February 2016. It pays particular attention to licences authorised and transfers made after the Saudi-led military intervention in Yemen began on 26 March 2015 Many States have not provided up-to-date information on their arms transfers during 2015. The paucity of data in the public domain means that it is not possible to present a comprehensive picture of trade between ATT States Parties and Saudi Arabia during this time. It is likely that evidence of more transfers will become available. However, this case study still demonstrates that Saudi Arabia has remained a significant market for arms exporters since the ATT entered into force. The study does not focus on the supply of arms to Houthi forces and their allies in Yemen, who have been subject to arms embargoes imposed by the United Nations (UN) Security Council since April 2015, and the European Union (EU) since June 2015. This case study outlines the context in which arms are being transferred. It provides an illustrative summary of arms transfers and licence authorisations to Saudi Arabia since the ATT entered into force. Finally, it questions whether these deals violate legal obligations under the ATT. It does not examine whether States are additionally breaking regional or national laws. Many countries transferred arms to Saudi Arabia prior to the ATT entering into force. Transfer data made available by the Stockholm International Peace and Research Institute (SIPRI) shows that in 2014, major conventional arms were transferred to Saudi Arabia by: Canada, France, Germany, the Netherlands, South Africa, Spain, Sweden, Switzerland, Turkey, the UK and the US. The United Nations database on international trade (Comtrade) shows that in 2014, 24 states exported arms, ammunition, and parts and components to Saudi Arabia. The above evidence raises serious concerns that some ATT States Parties and Signatories are adopting a ‘business as usual’ attitude regarding transfers to Saudi Arabia. Several States Parties appear in direct violation of legally binding Treaty obligations by continuing to supply arms to Saudi Arabia where there is a clear risk that they will be used in breach of international law in Yemen. States Parties must comply with their legal obligations and live up to the Treaty’s objective of reducing human suffering. Given the scale of the humanitarian crisis in Yemen and the widely-reported unlawful use of weapons in the conflict raging there, it is inconceivable that lethal military equipment can continue to be authorised for export. The first years of the ATT’s entry into force are the time in which a new norm is established against the reckless transfer of arms. If properly implemented, the ATT could have a significant impact in helping end the desperate suffering in Yemen. For that to happen however, States Parties must ensure that they fulfil their Treaty obligations. The implication is that bombing Syria, or any other country, is OK if secured through the UN and international law. Indeed it is common to hear the accusation that the Iraq war was illegal, attacking the US and Britain for their unilateralism on this issue. Many on the left see the UN as a force for good, as one of the more enlightened and progressive features of the modern capitalist world. In this view, right-wing leaders are indicted for their disregard or misuse of this instrument for peace, reasonableness and cooperation. The reality of the UN falls far short of its noble image. The sooner our left leaders in the trade unions and Labour Party shed this utopian illusion, the better for our movement. The claim that the UN has the power, if used, to secure peace - despite the enormous conflicts of interest we see everywhere in the world - is simply not true. The UN is governed by the main imperial powers, and can only act when these powers agree. UN forces are deployed by the Security Council, a body where the traditional five nuclear powers (France, China, Russia, the UK and the USA) have a veto. There are very few military conflicts in which all these five powers find themselves on the same side and, consequently, the UN very rarely intervenes anywhere. Many have mocked the recent satire-killing appointment of Saudi Arabia as the Chair of the UN Human Rights Panelwithout drawing conclusions for what this implies about the UN itself. The Independent highlights this black comedy, noting that “the Saudis’ bid emerged shortly after it posted a job advertisement for eight new executioners, to cope with what Amnesty International branded a 'macabre spike' in the use of capital punishment, including beheadings, this year.” It is entirely clear that the Saudis have been given this position in an attempt by the Western powers to improve relations after recent deals with Iran. Evidently, the UN has no power or interests of its own to somehow stop the endless violence of capitalism. Those who call for UN approval to legitimise our government’s bombing of other countries believe there has not been enough talking and that we’re too quick to rush to action. Not enough talks! The UN facilitates endless rounds of doomed negotiations between powers who will never agree because they have opposing interests. There is no magic power to the discussions hosted by the UN. They merely serve as instruments for buying time and diplomatic cover for the imperial designs of the capitalist powers. Arguing that the government has been wrong for not negotiating through the UN before going to war utterly misses the point - an imperialist action is no less imperialist because it has the approval of the other imperial powers. A UN resolution is only there to sow the illusion that the war is just. Indeed we have some examples of UN sanctioned ‘legal’ wars and bombing campaigns. In the end, the UN security council passed a resolution that could be interpreted as approval for bombing Syria. Why? Because all the powers wanted to bomb Syria and this gave them the required diplomatic cover. In Iraq, the government requested the bombing, which makes it legal according to international law. In the eyes of many, that would immediately justify it - the Iraqi government wants it! But who are the Iraqi government? Why should we automatically believe in its legitimacy when many ordinary people understand correctly that our own government does not honestly represent us? The Iraqi government is a product of our own government’s invasion of the country and is utterly dependent on imperialism. The previous president (himself both a product of the invasion, and a factor in the rise of ISIS, thanks to his Shia sectarianism) was ousted only thanks to enormous pressure from the US and the UK, and the new one was put in place with explicit approval from the western imperialists. So it is hardly a surprise that this puppet government now requests Western help. The bombing of Libya in 2011, which helped end the Gaddafi regime, was UN approved. Does that make the current disaster of a situation in this country (or more accurately former country, for it is falling apart) any better? When the UN approves military action, all it means is that this action is in the mutual interests of the imperialist powers. It in no way makes the action humane, rational or careful. It does not bring together the people of the world for a collective effort to make the world a better place. Comment: At least the title is blaming the UN too much. Well, the experience of the Yemen war actually shows that the UN is misused as a tool of imperialism (think of the Security Council resolutions and the Human Rights Council), but there are also persons and committees of quite different intentions. And it never had been intended that the UN should be a tool of any imperialism. Thus, the author better would have chosen the headline: The United Nations: misused as a tool of imperialism. When the U.S. media does cover the violence, it often misleadingly depicts it as a civil war. In reality, it is not a civil war; rather, a coalition of Middle Eastern nations and militants loyal to President Abd Rabbuh Mansur Hadi, which is led by Saudi Arabia and backed by the U.S. and U.K., is fighting Yemeni Houthi rebels and militants loyal to former President Ali Abdullah Saleh. The sporadic U.S. media coverage of the conflict also frequently echoes dubious myths about the war that have been circulated by Saudi Arabia, the U.S. and allies. In its report, Reuters claims that the Houthi rebels are “Iranian-allied.” There is little evidence that this is true, however, and award-winning investigative reporter Gareth Porter has debunked the little alleged evidence that exists. Reuters also reported that “Saudi Arabia sees the Houthis as a proxy for Iran, its main regional adversary.” This is true; the Saudi regime does see the Houthis as a proxy for Iran, but this does not mean they are. Saudi Arabia, a theocratic absolute monarchy governed by an extreme form of Sunni Islamic fundamentalism called Wahhabism, regularly accuses anyone who criticizes it of being backed by Iran — such as anti-sectarian dissident Sheikh Nimr al-Nimr, a leader in the kingdom’s Shia minority religious group, who was executed by the regime at the beginning of 2016, along with 46 other people. With the backing of the U.S. and U.K. Saudi forces have for almost a year rained bombs down upon Yemen, the poorest country in the Middle East. Numerous human rights groups have accused the Saudi-led coalition of committing war crimes and deliberately targeting civilians. Comment: For the attack mentioned in the headline, see cp 16. Overview article on Saudi air raids, the precise remarks on US coverage cited here above. Reports of attacks on Taiz medical facilities by Saudi Arabia. The supporters of Islah militias - which in Taiz includes those sympathetic to Al Qaeda according to recent BBC report - ignore these attacks yet criticise the Houthis for impeding the delivery of medical supplies - which could be air dropped into Taiz by Saudi Arabia instead of sending bombs that destroy facilities, medical supplies, and kill medical personnel and patients. Of course I am not supporting the Saleh-Houthi alliance in any obstruction of delivery of medical supplies, but I am demonstrating the lack of credibility and balance in reports from Taiz. THE decision by the UK Government to continue to send arms to Saudi Arabia to continue their slaughter in Yemen isn’t a surprise. The nature of this war is indisputably defined by the character of its combatants. Backed by the UK and the US, the two most powerful and aggressive imperialist countries in the world, is a coalition of reactionary tyrants and royal parasites consisting of the monarchical dictatorships in Saudi Arabia and the Gulf states together with the savagely repressive regime headed by General al-Sisi in Egypt. Their target is Yemen, the poorest country of the Middle East. The Saudi monarchy has received a blank check from Britain to wage war in Yemen. Given the brazen and murderous character of the crimes being committed in Yemen, the response –or, more precisely, the non-response – from official political and media circles in the West is striking. Mass civilian casualties and unspeakable suffering are treated as, at most, an embarrassing public relations problem in the UK imperialist drive to dominate the Middle East and its vast energy resources. There is no limit to the hypocrisy and cynicism of the media. The British press raises a hue and cry over Russia’s reported dispatch of military equipment and some 200 troops to Syria because it disrupts Washington’s drive to topple Syrian President Bashar al-Assad, who is allied with Russia and Iran, and install a more pliant puppet regime. The Russian intervention pales in comparison to the billions spent by Nato allies in the region on arms and other forms of support for right-wing Islamist militias, including those linked to al Qaeda, that are battling the Assad regime. But the UK media has virtually nothing to say about mass murder being committed by UK allies, directly aided by Westminster, in Yemen. Over the last decade and a half, under the pretext of fighting terrorism and defending human rights, US\UK imperialism has devastated one country after another in the Middle East and North Africa. More than a million people have been killed, while tens of millions more have been made refugees, desperately seeking safety outside their home countries, most recently flooding into Europe. To be honest, before the current conflict in Yemen I didn't fully realize what sorrows and tragedies could wars cause. Civilians including myself have been through very tough and hard times. I personally survived death many times. My family consisting of my mother, father,elder brother and sister have been terrified as our small rental apartment located in the besieged part of the city was partly damaged when a mortar hit nearby perishing two of our neighbors while we were having lunch inside. As a result we moved to a safer area but couldn't afford the high rent of the apartment there so we came back to our apartment only two months later. Another tragedy happened to us as a tank crushed into our apartment damaging one of our two rooms. Fortunately, nobody was at that room then. I can't forget the way my mother cried and fainted when we saw a part of the tank in our room. Now we are living in an abandoned house belonging to one of our neighbors. What happened to us is nothing compared to what happened and still happening to those who lost their beloved ones in this forgotten conflict. A number of my neighbors, friends, students were killed before my eyes. Crowded residential areas are being shelled on a daily basis. Many civilians in the besieged parts of the city don't have safe shelters out to flee to. Now I fully realize the importance and value of peace. Actually, this war made me change my goals regarding my higher studies plans. Before the war I wanted to get the MBA but now I am eager to do the masters in Peace Studies, Conflict Resolution or international Relations. In the near future, I will do my best to get a scholarship to accomplish my goal. Again, I appreciate what your doing and intend to do for innocent civilians. I want to assure you that I will do my best to help you do what you are doing. United States Secretary of State John Kerry , on Feb.26, announced that Iran, in Yemen, continues to support Houthi militias and the ousted President Saleh supporters . Iranian support is helping the insurgency against the legitimate administration of President Abd Rabbuh Mansur Hadi. Kerry added that a cargo jam-packed with artillery was stopped en route from Iran to Yemen. The apprehended shipment proves Iran’s continuation to aid certain groups. Comment: Very doubtful until there is further information. Kerry is a very bad source for anything. Unless there are no further records, this has to be labeled as propaganda. The whole objection is crazy by itself, anyway: Which nation is the one giving the greatest support to any of the conflicting parties of this war? It’s not Iran, it’s the USA. The US and Israel are making strenuous efforts to stop widening gaps among the Takfiri groups in Yemen, informed sources disclosed on Saturday. "Severe differences and unrests aomng the aggressive Takfiri ISIL and al-Qaeda hired mercenaries have made several commanders to defect from the Saudi coalition and declare formation of a small country for themselves in the Southern parts of Yemen," the sources told FNA on Saturday. "This has made the US and Israel appoint Saudi General Ali Mohsen al-Ahmar as Deputy Commander of pro-Hadi armed forces to improve relations among the Takfiri and extremist groups and unite them in Yemen again to fight the country's army and popular forces more efficiently," he added. In relevant remarks earlier this month, informed sources disclosed that Al-Qaeda and the ISIL terrorist groups have become the winning cards of the US in Yemen to help that country and Israel achieve their goals. "Washington has widened its measures to use Al-Qaeda and the ISIL to help Israel to maintain its security," an informed source in Yemen's intelligence forces, speaking on the conditions of anonymity, told FNA. He reiterated that the terrorist groups operating in Yemen are the US tools, and said, "This comes as regional stability and security are endangered by the spread of dangerous terrorist groups," the source added. The source further underlined that Yemen's intelligence and security forces have found corroborative evidence proving the United States' tight link with the ISIL and, at least, one document showing very clearly that "the Al-Qaeda in the Arab Peninsula is serving Washington and moving along the line specified by the CIA". Comment: I don’t think that either the USA or Israel will intervene to the point of comforting the various jihadist groups. That sounds like propaganda to me. What certainly is true that Mohsen tries to do this. Hadi had appointed him deputy commander of his army, and Mohsen is well-connected to various terrorist groups, as reported earlier. Mohsen, not the US is doing this job: This is the difference between war and proxy war. Gunmen killed Aden’s deputy chief of intelligence on Friday in the latest assassination targeting high-ranking officials in Yemen’s southern port city. Col Adham Mohammed Al Ga’ari, 40, who was also the leader of the Popular Committees civilian militia in neighbouring Abyan province, died on the spot in the attack near his home in Khour Maksar district at 2pm. “The armed men shot Al Ga’ari from a car using an American gun” before fleeing, a source in Aden’s security services said. Al Ga’ari took part in the military operation that was launched in 2011 to drive the Yemen-based branch of Al Qaeda – Al Qaeda in the Arabian Peninsula – out of Abyan. Comment: More assassinations in Aden. Hadi and his men are hardly in control of anything, and Hadi himself is too scared to leave his stronghold - and reports say he has to have foreign troops guarding him because having Yemeni troops would make him too vulnerable to one or more of his guards turning in him. Yemen: AQAP senior official Khaled Batarfi calls for cooperation in Syria and warns against international negotiations; Yemeni Foreign Ministry bans visas for Lebanese travelers; gunmen assassinate military intelligence head in Aden. Yemen: Hadi government and Saudi media accuse Hezbollah of providing training and material support to al Houthi forces; UAE forces reportedly withdraw from Aden’s airport following militant attack; AQAP militants destroy political security office in al Hawta, Lahij; EU parliament calls for arms embargo on Saudi Arabia. Sources at Aden International Airport have rejected as baseless and incorrect reports circulated by some news websites and media outlets about the withdrawal of UAE forces stationed at the airport. "Shifting heavy military ware and equipment from one place to another inside the airport is meant to allow rehabilitation work at the airport, which is coming to an end," the sources reaffirmed. Comment: Well this is an interesting denial. If UAE troops are still in the airport and just reorganising security, why has the airport closed down - I know this is true because a friend was travelling to Aden airport on the night it was closed down - she was told it was closed until October. Does this mean the airport has reopened? And if so, why did they say to passengers that it was closed until October? Why did they re-route passengers to Sanaa? And if it was closed down for a few days at short notice - why? Was it a security lapse? There are reports of the airport being overrun by disgruntled southern militias. Or was it a strategic pullout to put UAE into a better negotiating position, and if so, with whom, and what concessions have they gained in order to go back? There have been repeated rumours of disagreements with Hadi, and disagreements with the Saudis. Yemen's Foreign Minister Abdulmalik Mekhlafi said that the Yemeni government is ready for negotiations with the Houthis rebels. The Yemeni government is prepared to continue peace talks with the Houthi rebels at any time, Yemen's Foreign Minister Abdulmalik Mekhlafi told Sputnik Friday. On Thursday, UN Special Envoy for Yemen Ismail Ould Cheik Ahmed told Sputnik that a date for the restart of the Yemeni peace talks could be announced by the end of March. Comment: I doubt whether this is more than propaganda, as the implementation of UN resolution 2216 as it is understood by the Saudis and Hadi government would mean a capitulation of the Houthis, what they never would concede. Comment: I understand the Houthis want a ceasefire before they enter negotiations - and the Saudi led coalition won't oblige. Saudi Arabia's Future: Will Al Saud's Partnership with Wahhabism Hold? Saudi Arabia may be heading into a perfect storm of economic problems, social challenges and foreign policy crises. Tumbling commodity and energy prices are forcing the Saudi government to reform, diversify, streamline and rationalise the kingdom's economy. The government is cutting subsidies, raising prices for services, searching for alternative sources of revenue, and moving towards a greater role for the private sector and women. Despite renewed doomsday prediction about the viability of the Saudi regime, its future however depends less on how it solves any one of these issues individually. Instead, it will be determined by how the kingdom's rulers restructure their Faustian bargain with Wahhabism, the puritan interpretation of Islam in which the Al Saud cloak themselves but which increasingly looms as a prime obstacle to resolving their problems. Founded on an alliance between the Al Saud family and descendants of 18th century preacher Mohammed ibn Abdul Wahhab, modern Saudi Arabia adopted an interpretation of Islam that is in many respects not dissimilar from that of the self-styled Islamic State (IS). The question arises whether clerical accommodation of Saudi Arabia's rulers will give the government sufficient leeway to tackle the multiple challenges it confronts or whether the Faustian bargain needs to be restructured to a degree that the very legitimacy of the Al Saud is called into question. Similarly, the government will have to free itself from the social restrictions imposed by Wahhabism to rationalise the Saudi economy, bring women fully into the workforce, shift the economy's emphasis from the public to the private sector, and diversify away from a 90 percent reliance on oil revenues. Restructuring the economy inevitably will involve renegotiation of the Al Saud's bargain with the Wahhabis and the kingdom's social contract in which the population surrendered political rights for cradle-to-grave economic benefits. Comment: Fundamentally, they are already destroying themselves with what they have created. I was right. I told you so. Saudi Arabian Oil Minister Ali al-Naimi recently announced that ”the kingdom was prepared to let oil prices slip to $20 a barrel.” Why would Saudi Arabia set a target price that makes it unprofitable for several OPEC members to supply oil? The recent announcement by Saudi Arabia’s oil minister confirms what I had written earlier. I guess the announcement surprised some people, but it didn’t surprise me. Here’s the end-game. Comment. Game explained. If you have ever wondered what was happening to the price of oil, here is how Saudi Arabia is manipulating the market and OPEC (which is nothing more than a cartel). Zwar mögen die Saudis und die Emirate militärische Papiertiger sein, wie auch ihr„Eingreifen“ im Jemen zeigt, aber nichtsdestotrotz sollte man deren Stärke im Verbund mit der Türkei nicht unterschätzen. Gleichzeitig aber wissen, dass eine Invasion Syriens durch diese drei Golf-Staaten, niemals ohne Rückdeckung der USA, Türkei und der NATO erfolgen wird. Im Folgenden das aus dem Arabischen ins Englische übertragene Dokument. Im Norden Saudiarabiens üben seit Mitte Februar angeblich bis zu 350.000 Soldaten aus 20 muslimischen Ländern. Allerdings gibt es Indizien, dass es weit weniger sind - und neun dieser Länder gar nicht teilnehmen. Ein angeblich riesiges Manöver, das sich seit Mitte Februar im Nordosten Saudiarabiens zuträgt und an dem unter saudischer Führung Truppen aus insgesamt 20 muslimischen Staaten teilnehmen sollen, wirft einige Fragen auf. Vor allem geht es bei der Übung namens "Raad al-Shamal" ("Donner des Nordens") um deren konkrete Ausmaße. Im Vorfeld hatten saudische und andere arabische Medien nämlich wiederholt posaunt, dass dieses Manöver das größte sei, das je im Nahen Osten stattgefunden habe. Die Rede war von 150.000, ja sogar 350.000 Mann aller Waffengattungen, was unter anderem Spekulationen genährt hatte, dass aus dem Manöver nahtlos eine Invasion in Syrien werden könnte, um dort etwa den Kampf gegen die Jihadisten des "Islamischen Staats" (IS) aufzunehmen. Kommentar: Immerhin besser nur die bekannte saudische Großsprecherei (man denke an die vor ein paar Monaten aus der Taufe gehobene islamische Antiterrorkoalition – bei der mehrere Staaten gleich ungefragt und ohne es zu wissen mit dafür vereinnahmt wurden – als ein Riesenaufmarsch nah an Syrien. An American bombing raid in Libya on Friday signaled a potentially deepening involvement in the latest front of the U.S. military campaign against the Islamic State—and underscored the expansion of U.S. airstrikes as a tool to combat Islamist terror groups around the globe. U.S. aircraft are now targeting jihadists in seven countries from North Africa to Afghanistan. And ISIS militants aren’t the only extremists in the crosshairs of American warplanes and drones. The U.S. is also still hunting al-Qaeda operatives and Taliban fighters where these jihadists pose security threats to U.S. allies and interests. American aircraft fired at least 23,144 bombs and missiles in 2015 alone, according to data compiled by Micah Zenko, an expert on U.S. military planning and operations who is a senior fellow at the Council on Foreign Relations. The Pentagon shows no signs of slowing down the strikes this year: U.S.-led warplanes and drones dropped more than 2,800 bombs in January, recent military statistics show. More than 95 percent of these American airstrikes have focused on ISIS targets in Syria and Iraq, at a cost of billions of dollars. Targets in other nations have been under steady fire as well, however. U.S. drones continue to pick off members of al-Qaeda affiliates in Somalia, Pakistan and Yemen. In Afghanistan, fighter jets fired weapons at Taliban, ISIS and al-Qaeda militants nearly 1,000 times in the last year, according to CFR data. U.S. officials regularly highlight the success of these strikes. They kill militant leaders, such as ISIS’ infamous Jihadi John, and level massive terrorist training camps, like one belonging to al-Qaeda in Afghanistan that was blown to bits in October. Pentagon officials also credit the relentless bombing campaign in Syria and Iraq with stopping ISIS’ expansion there. Arms dealers would have you believe that selling military equipment and expertise is good for the economy. Military companies are some of our biggest stocks worldwide. But I would suggest that this is a pretty narrow measurement on the whole. In the same way as crashing your car or getting divorced are good for GDP because they spur economic activity, they are rather less productive for society as a whole. Similarly, when the weapons sloshing around the global market are actually used, all that precious GDP built up over the years is destroyed by men with the weapons we sold them. I do not think we should view arms exports as an economic asset. We should view them, entirely, within the preserve of foreign policy and morality. This may result in tightly limiting their circulation and so be it. Nowhere is this more true than in the Middle East. Over the years the United Kingdom, France, Spain, Belgium and plenty more have made valuable profits out of selling warplanes, bombs and missiles to Saudi Arabia. Celebrated in government press releases, a gruesome competition has been under way between European capitals over who can flog the most. Aside from our contribution towards creating considerable suffering for our fellow people, there will be a financial cost to us also. Given the international community will, eventually, have to contribute to rebuilding Yemen, I would be curious to see a comparison of this cost to the public purse versus the private profits of the arms companies, even after factoring in the tax they pay. So long as we prioritise selling military equipment above wider economic and humanitarian considerations we will not see a full picture. We cannot be surprised that the Middle East is becoming more and more of a dangerous, unstable and costly place to do business in. I hope this week the European Parliament took a step towards making the world safer, for people and business alike – by Alyn Smith, Scottish National Party Member of the European Parliament for Scotland. The Kingdom is the only major death penalty state to be omitted from a 20-page Foreign Office document setting out the UK’s five-year strategy to reduce the use of executions around the world. The Foreign Office minister Tobias Ellwood would only express the UK’s “disappointment” at the 47 executions carried out by Saudi Arabia at the end of last week. The UK strategy, which was written in 2011, sets out what it describes as a list of “priority countries” where British diplomats would be “encouraged” to “proactively drive forward” and “make progress” towards the UK’s ultimate goal of abolishing the death penalty over five years. It lists China, Iran, Belarus, the US and the Caribbean as the countries where most effort should be focused but goes on to list another 25 countries that have “been identified where posts should also be working towards” reducing the use of the death penalty. But Saudi Arabia does not appear on either list despite having one of the worst human rights records in the Middle East. Comment: it is hard to imagine what more will be happen in the matter of this crazy British (more exact: Tory) and Saudi connection. Comment by Judith brown: Well there's a surprise. Cameron supports Saudi Arabia's beheadings. Comment: This article sums up the shameful story of British-Saudi relations regarding arms trade and the Yemen war. Many articles related to this subject have been presented here. Comment: Making money on the slaughter of people is immoral, unlawful and a crime. An international coalition of 100 aid and rights organizations on Friday urged Western countries to stop selling arms to Saudi Arabia for its extensive air campaign against Iran-backed Shiite rebels in Yemen. The Control Arms Coalition released a report listing 11 countries — including France, Britain, U.S. and Germany — that it says sold arms such as drones, missiles and bombs worth $25 billion to the kingdom in 2015. In a new report [ see above, cp1] released today, the Control Arms Coalition names France, Germany, Italy, Montenegro, the Netherlands, Spain, Sweden, Switzerland, Turkey, the UK, and the US as having reported licenses and sales to Saudi Arabia worth more than $25bn in 2015 including drones, bombs, torpedoes, rockets and missiles. These are the types of arms currently being used by Saudi Arabia and its allies for gross violations of human rights and possible war crimes during aerial and ground attacks in Yemen. “These countries are arming and aiding a campaign that’s bombing, killing and starving civilians," said Yemeni researcher Nawal al-Maghafi, who has witnessed the aftermath of recent airstrikes in Yemen and will be attending Monday’s meeting. “I have witnessed the reality Yemenis are having to endure - watching bodies pulled from underneath the rubble in Sana'a or seeing body parts strewn across the site of a water-plant hit by an airstrike in Hajjah or attending a wedding party only to see it turn into a funeral. “Governments such as the UK and France were leaders in seeking to secure an ATT – and now they are undermining the commitments they made to reduce human suffering by supplying Saudi Arabia with some of the deadliest weapons in the world. It’s truly sickening," said Anna Macdonald, Director of Control Arms. “There is irrefutable evidence showing that these weapons are being used to target residential areas and civilian objects. Around 35,000 people have been killed or injured in less than a year already in this conflict and more than 2.5m people have lost their homes. Enough is enough. Based on the limited public domain information available, the report estimates the total reported value of arms export licenses and announced sales to Saudi Arabia was more than $25bn during 2015. Of this, States Parties accounted for over $4.9bn, though the exact amount is likely to be much higher. Under the ATT, all arms deals must be assessed against strict criteria, including the risk of the arms being used for serious human rights violations or war crimes, or of being diverted for terrorist and other criminal acts. The treaty requires that if the transferring state has reasonable knowledge to anticipate that the arms would be used in war crimes, or there is a substantial risk the export will breach any of those criteria, the arms transfer cannot be authorised. “Governments approving the export of arms to Saudi Arabia capable of use in Yemen have received many detailed and credible reports from the UN and other reputable bodies over the past months pointing to a pattern of horrific human rights abuses and war crimes committed throughout Yemen by the Kingdom’s forces and allies," said Brian Wood, Amnesty International’s Head of Arms Control and Human Rights. Comment: Overview article, the facts already often presented here. The Shoura Council is giving final touches to the draft statute of the Arab Court of Human Rights. Comment by Haykal Bafana: Is this some sick joke? What does Arab even mean? Arab race? Arab states? Sunni? Shia? And what does human rights even mean in the Arab context, especially as viewed by Saudi Arabia? Saudi plan to establish Arab Court of Human Rights in final stage. To be built in Bahrain. Comment by Judith Brown: Well - this really is a fiasco. I can guess who they will try in this court - and I guess they will be Shia Muslims. Not those who behead their distractors and drop bombs on their neighbours I'm certain. Comment: Shoura is the Saudi pseudo-parliament. This is really a (stupid) new piece of Saudi propaganda. Comment: Well the headline looks good but the reading of the article seems to imply many caveats. Firstly it appears these are only for 700 Yemeni students already residing in Yemen. In effect Saudi has taken very few Yemenis fleeing the war - although they maintain they have taken one million Yemenis, this is because at the start of the war they granted residency to Yemenis working in Saudi without the right papers - I ha e seen estimates of from 30,000 upwards for the actual numbers who have been allowed to cross the border - and they have to be the 'right sort' of Yemenis. The other issue is the subjects available particularly to women who also do not have the same facilities as men in Saudi universities. I know so many Yemenis whose studies have been terminated due to this war - it is a catastrophe for intelligent young Yemenis who had worked so hard to get a university placement, only for it to end in crushed hopes. Deputy Premier and Foreign Minister of Yemen, Abdulmalik Al-Mikhlafi has stressed that the Arab military coalition’s intervention in his country to deter coup rebels and restore legitimacy represented a strong message governments not to interfere in Yemen’s internal affairs. He described the Arab coalition’s position as decisive and strong, expressing his government’s thanks to the countries that stood with Yemen in this historical juncture. Al-Mikhlafi’s statements came during a speech he delivered in the presence of the Somalia Security and Development Conference, which was held in the Turkish city of Istanbul on Thursday. Comment: Nice propaganda. For the 10.ooo. time: “restore legitimacy”: There is no legitimate government for Yemen any more. President Hadis prolonged term definitely ended on Feb. 25, 2015, just one month BEFORE the start of the Saudi aerial war. He is nothing more than a self-proclaimed president. – “message governments not to interfere in Yemen’s internal affairs”: This is directed at which government? Iran, Russia, Lebanon, Europe after the EU parliaments resolution? Well, the government that interferes most is the Saudi government – could you imagine a greater interference than this aerial war? Hardly not. And there is still more Saudi interference in the Middle East – what to say of Syria and now Lebanon? But, off course, one main task of the Yemeni Hadi “government” is adulation of the Saudi overlord and his cronies from the Gulf, thus a “thanks to the countries that stood with Yemen in this historical juncture” had to be added to this statement. Lebanon must take action to stop Iran’s terror proxy Hezbollah from exporting its “mercenaries” into Yemen and Syria, reportedly urged a Saudi military spokesman. The Shiite terrorist group Hezbollah, which is based in Lebanon, is currently fighting against U.S. interests alongside Shiite Houthi rebels in Yemen and the Bashar al-Assad regime in Syria. Al Arabiya News Channel reported that Saudi Brig. Gen. Ahmed al-Asiri said participation of some Iranian and Hezbollah “mercenaries” who were killed in Yemen violated the United Nations resolution 2216, which ordered an end to violence in the southern Arabian Peninsula country. Gen. Asiri’s comments came after the internationally recognized Yemeni government said on Wednesday that it has evidence that the Iran-backed Shiite movement Hezbollah is backing its opponents, the Houthi rebels. “The government, which is currently working with the Saudi-led Arab coalition and Popular Resistance units to dislodge Houthi militants from the capital and other areas, said that Hezbollah military trainers planned ‘hostile’ acts implemented by Houthis against Saudi Arabia,” reported Al Arabiya. Comment by Judith Brown: This CRAZY reporting! Look at the list of dead overseas mercenaries killed in Yemen - from EVERYWHERE but Lebanon. There has been no evidence of this whatsoever - it is just Saudi Arabia, unable to win its war despite using mercenaries and armed forces from all over Asia, Africa, Australia, and the Americas to attack Yemen by land, sea and air, trying to fund excuses for its failure and trying to distract the world's media from its own foreign fighters. Yemen to Lodge Complaint against Hezbollah at U.N.
Yemen's Permanent Representative to the United Nations Khaled al-Yamani announced that his country will file a complaint against Hezbollah before the Security Council, saying it will provide evidence on the group's role in training Houthi forces, fighting alongside them and planning attacks in Saudi Arabia. The public presence of the Lebanese Hezbollah militants and their military role taking the Houthi rebels’ part have raised questions on the methods they used to reach Yemen. The Yemeni Ambassador to Lebanon, Ali Ahmad Al Dailami, commented on this matter by telling Asharq Al-Awsat that strict instructions were issued by the Yemeni Ministry of Foreign Affairs to ban visas for Lebanese citizens, who are willing to travel to Yemen in the current conditions. Moreover, informed Yemeni sources predicted that Hezbollah militants might have entered the country illegally through the sea from the borders of some neighboring countries. These sources didn’t exclude the presence of a possible Iranian role in the logistic support for the infiltration operations of Hezbollah’s militants in order to help Houthi militias and the ousted former President Ali Abdullah Saleh withstand the progress of the pro-legitimacy forces. For their part, informed sources in Yemen told Asharq Al-Awsat that Hezbollah’s experts present in Yemen are the ones leading and planning for all the military operations implemented by the Houthis and that they supervise the war propaganda for the Houthis. Commenting on Hezbollah’s involvement in military acts in Yemen, Najeeb Ghallab, Head of Aljazeera Al-Arabiya Center for Studies and Research, told Asharq Al-Awsat that Hezbollah vandalized Lebanese-Yemeni relations by establishing a terrorist group to spread sectarian thoughts. Ghallab explained that Hezbollah contributed to establishing and founding a rebel movement that destroyed Yemen. He said that the methods Hezbollah used to extend allies in Yemen and form assassination groups let the Houthis turn into a vicious monster devouring the state and its institutions. Comment: Somewhat contradictory in itself, as they all reassure themselves how difficult it will be for Hezbollah fighters to come to Yemen. And then, they grossly exaggerate their propaganda, “Hezbollah’s experts present in Yemen are the ones leading and planning for all the military operations implemented by the Houthis and that they supervise the war propaganda for the Houthis” is a folly. The Houthis certainly are not so tumble that they would not be able to care for that themselves. And, not to be forgotten: A great part of the Yemeni army is fighting alongside with the Houthis. The Saudi aggression warplanes waged at dawn on Saturday a number of raids on the capital Sana’a, targeting areas in al-Sabeen district. A security official told Saba the hostile war jets used high-explosive bombs in bombing the areas of Attan, al-Nahdain and al-Sabeen. The official said the aggression targeted the political neighborhood in Hadda area, which led to the injuring of a man and a woman. The aggression bombing on those areas caused severe damage to citizens’ houses, shops and public and private property, he added. The Saudi military troops waged an airstrike on a market in Hehm in the northern part of Yemen's Sana'a Province Saturday afternoon, killing 38 civilians and injuring 30 others, according to local authorities. After the airstrike, the Saudi-led troops and armed forces loyal to Yemen President Mohammed Ali al-Houthi were converging upon to the capital Sana'a from various directions to fight against the Houthis forces in the region of Bin Ghailan mountains. The Houthis forces have deployed a lot of troops to defend the military posts in the region. So far, the battle is still continuing. Comment: Nehm, not Hehm. Earlier reports see below. This seems to be the final figure. There had been heavy fights at Nehm, which is ca. 60 km northeast of sanaa. Finally, the Houthis and their allies succeeded in driving the Hadi and Saudi coalition forces out again. Bei einem Luftangriff der von Saudi-Arabien angeführten Militärkoalition sind laut Augenzeugen am Samstag im Jemen rund 40 Menschen getötet worden. Die Opfer seien Zivilisten und schiitische Rebellen, berichteten Augenzeugen. Der Angriff habe sich gegen einen Markt nordöstlich der Hauptstadt Sanaa gerichtet. Auch von 30 Verletzten war die Rede. Aus Stammeskreisen an Ort und Stelle hieß es, der Angriff habe drei Fahrzeuge ins Visier genommen, in denen Rebellen transportiert wurden. Demnach ereignete sich der Angriff auf einem Markt der Stadt Naqil bin Ghaylan. Air strikes by an Arab coalition fighting Iranian-allied Houthi forces in Yemen hit a market northeast of the capital Sanaa on Saturday, killing 40 people, residents said. Air strikes by an Arab coalition fighting Iranian-allied Houthi forces in Yemen hit a market northeast of the capital Sanaa on Saturday, killing at least 30 people, residents said. The air strikes targeted three rebel vehicles as they entered a market in the town of Naqil bin Ghaylan, killing at least 30 Houthi insurgents and civilians, one tribal source in the area said. The strikes also wounded 30, residents said, adding that most of the casualties were civilians. The attack hit Khulaqa market, which is known for selling qat, a mild narcotic that is chewed throughout Yemen, witnesses said. The area is part of the Nehm region, where coalition-backed loyalists have been advancing against the rebels as they try to march on the capital. There have been conflicting reports regarding the number of casualties. Bei einem Angriff der jemenitischen Armee und der Volkswehr auf die Region Bit Vafi, in der Stadt Dschebel Habashi, in der Provinz Taiz, sind am heutigen Samstagmorgen 13 saudische Soldaten getötet worden.